Initial Focus: Our introductory “Launch” events will be held at the world class Bay Area casting facilities in San Francisco, Oakland and San Jose. Girls and boys in school grades 4-7 will be introduced to a sport that they can enjoy for a lifetime with family and friends. These events will be aimed at drawing younger families who value fun learning activities for their children that reward patience and practice. Launch events will be followed by a series of learning activities including fly casting, knots and rigging, fly tying, bugs and other fish food, conservation, and fishing - held throughout the year at various Bay Area and nearby venues. 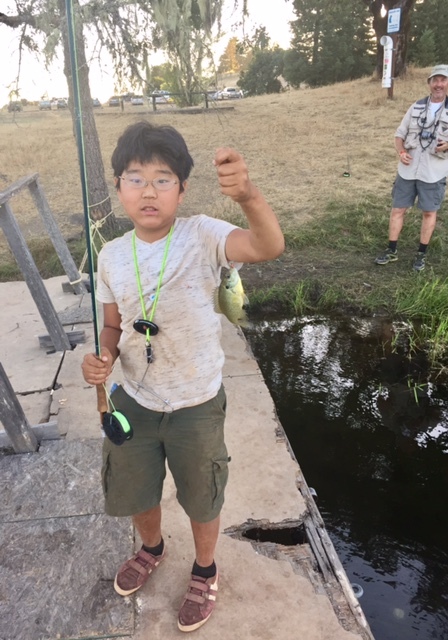 Secondary Exploration: We'll explore opportunities to extend participant age groups by selective engagement of established Bay Area Youth organizations with an outdoor education focus, robust leadership framework, and programs in which fly fishing can be readily incorporated. Our age range target could be extended to include late middle school and high school. If you'd like to partner with us or to learn more, send us a note on our Contact page. Our Promise: We'll do our best to ensure that your kids learn, achieve, and grow as a fly fishers and as conservationists - safely!